A new floor should be considered an investment in your home and you’ll want to choose a floor that not only looks great now but one that will stand the test of time. Often, our customers come to us knowing that it’s a cost-effective laminate, or a durable Karndean floor that they want. For others, only the natural beauty of real wood will do. 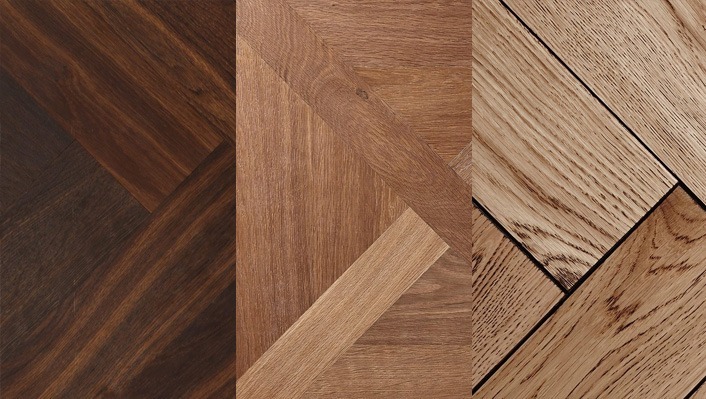 But, if you’re still undecided, here are the key things to consider when choosing the best type of flooring for your home. Will your floor be installed in an area with high moisture? If you’re looking for a floor for your bathroom, your kitchen or a potentially damp area you will need to ensure that the flooring you choose is suitable for medium–high moisture areas. Will your floor be installed in a high-traffic area or is durability particularly important? If you have pets or children; or your floor is intended for high-traffic or commercial environments, you will need a floor with superior durability and wear resistance. Or alternatively, a floor where wear and tear will only serve to further enhance character and beauty. How much do you want to spend per m2? If budget is a limiting factor, we can advise on (and even source) the most cost effective options to meet your needs. If budget is not an issue, we can help you design the most beautiful, luxurious, statement floor you could possibly imagine. With over 30 years combined flooring experience, we offer an unrivalled advice service absolutely free. We can talk you through the benefits of each of our ranges and can recommend the best products to suit your needs at a price to suit your budget. Our advisors are design-trained and can even offer some design tips and tricks to achieve the perfect look to suit your home and your space. And because we work with only the best products in the industry – and they are all fully guaranteed, you can always be assured of quality… regardless of your budget. Why not give us a call on 01788 815700 or pop in to our Dunchurch Showroom today, to take advantage of our free expertise.